The secret (or not so secret) saboteur to any fitness regime. Inflammation. So there is this random stat that roams around the internet that says 80% of losing weight is in the kitchen and 20% is in the gym. Has anyone else heard that? Although those numbers are pulled out of thin air, the fact that a large portion of being healthy/losing weight/getting fit involves eating well is true. 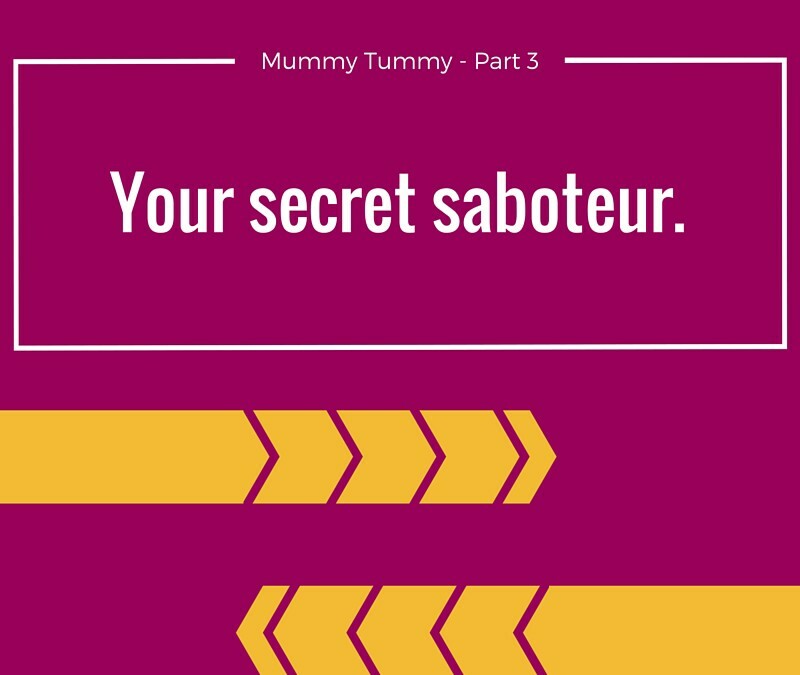 And when trying to reduce your Mummy Tummy post-birth, this is no an exception. Inflammation is a sneaky little bugger. It can manifest itself in so many ways (arthritis, diabetes, cancer, heart disease, etc.). The vast majority of inflammation is caused by eating foods that do not agree with our own personal ecological system in our bodies. The inflammation, literally, inflames our organs which respond to the food like it is a foreign body attacking us from the inside. Especially after giving birth our organs can be inflamed due to the trauma our body has been through and because our abdominals muscles are lengthened, that inflammation pushes outwards and creates a belly pouch or Mummy Tummy which would normally be held in by our cores. Unfortunately, the easiest/hardest way to know whether something in your diet is inflammatory is to eliminate it for a month and then slowly reintroduce it and see how your body responds. The reason this is hard is because it usually involves eliminating all inflammatory foods all at once. Many many many people find this near impossible. But if you can do it, the results are miraculous. Here is how an elimination diet works. You pick a date and for 4-6 weeks (depending on the level of inflammation your body has), you eliminate wheat, sugar, dairy, eggs, and nightshades from your diet (some even eliminate meat). After those 4-6 weeks you reintroduce one of those items for a week and see how your body responds. Are you gassy? Is your stomach upset? Did your poop change? Are you irritated? Are you fatigued? Do you have less energy? Did your stomach, literally, get bigger? If any of these things are true, that food is an irritant and you should eliminate it from your diet entirely. If you didn’t experience any change, you can keep that food in your diet and then introduce another eliminated food from the list for a week and see if you experience those reactions. The whole process takes about 12 weeks. This may seem like a long time but the benefits are massive. If you want to give this a try, contact me and I can try and support you as best I can. I highly recommend it for everybody. I know this is a lot of information to digest (ha!) but it is one of the most important emails I can write regarding your diet and nutrition. Let me know if you have any questions.